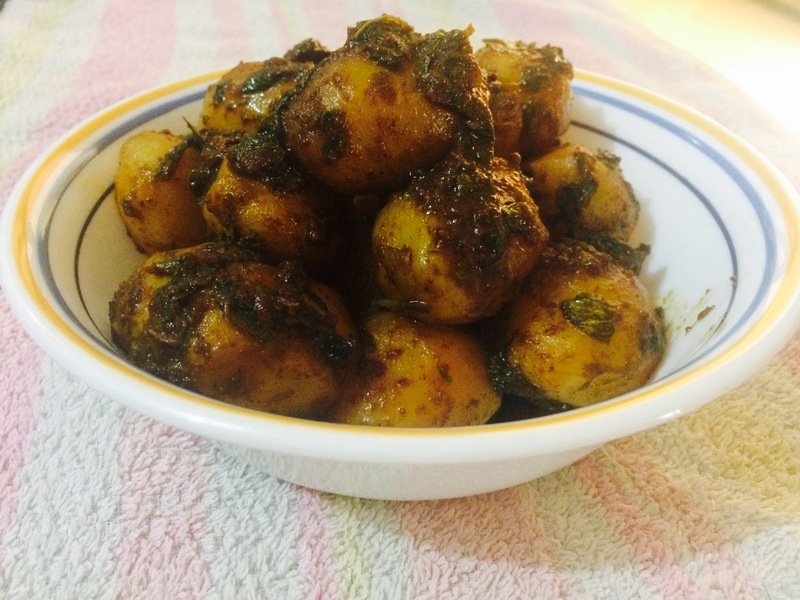 In a pan add ghee and then cumin seeds and when they splatter add the the crushed garlic and chilli powder, blanched potatoes and half of the chopped mint leaves and salt. Cook on low flame using a closed lid. When its half cooked u may add the remaining half of the mint leaves and lemon juice. Mix well and serve.